Woman went "flying" indeed after hitting a $933,080 jackpot in McCarran International Airport at Las Vegas, showing us that jackpots can indeed be won anywhere. Traveling may cost money, but for one woman, traveling ended up earning her a lot of money – and fast. One traveler had some time to spare back in late March, when she was flying out of McCarran International Airport in Las Vegas, and she took advantage of it by taking a chance at one of the airport’s well-known slot machines. Her risk paid off – she won a staggering $933,080. The lucky woman hit the jackpot playing a 25-cent denomination IGT Wheel of Fortune slot game, but she declined to have her name released. This lucky player is not the first to hit it big at the McCarran slot machines – just last year, one traveler won a nearly $1 million jackpot, and another won $1.6 million. McCarran airport has over 1300 slots in its terminal, with an estimated 50 million visitors traveling through the international airport every year. 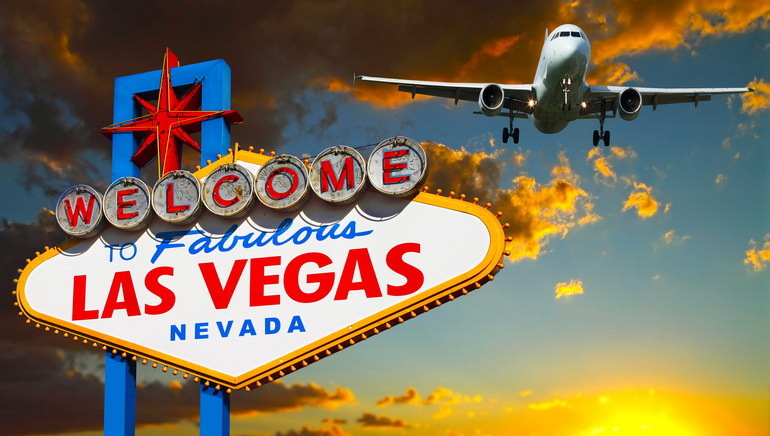 The Las Vegas Review Journal estimates that revenue from airport slots brought in about $25.6 million during the last fiscal year – a number other airports might bear in mind when considering whether to offer slots in their own terminals. It’s not very surprising that airport slot machines are growing in popularity – with time to kill before traveling, playing a slot machine is a good way to make the wait more enjoyable. Similarly, travelers and non-travelers alike have discovered the fun of online gambling, which is not only an enjoyable pastime, but yields daily payouts and wins to players all over the world. While online gambling started out as a desktop hobby, its popularity has now shifted to mobile as mobile casinos are on a never-stopping rise. As long as there is Wifi or mobile internet access, players can access most of their favorite gambling sites from their smartphones, which means that they can theoretically win large sums of cash from wherever they happen to be – on a bus, at work, or even an airport, regardless of if that airport has a slot machine or not.